Ibeto, 50, was arraigned alongside three others, Joy James, Gold Chukwunonye and Nkiru Ekezie, on two counts of child stealing. It was gathered that the mother of the baby, one 16-year-old Bukky, gave birth to the child on March 17, 2018 at Ibeto’s unregistered centre on Bunmi Ajakaye Street, Ajangbadi, Lagos. Bukky, who was reportedly impregnated by her stepfather, was taken to the centre by James with an arrangement to sell the baby upon delivery. 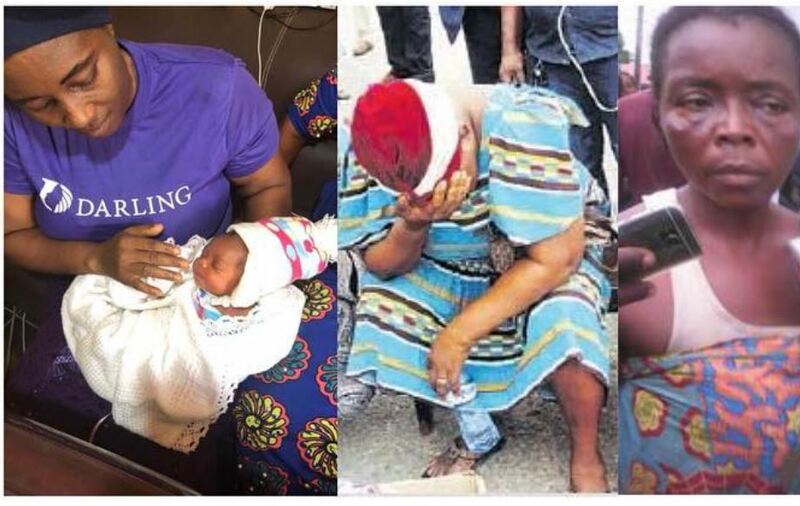 Less than a week after the birth, the midwife reportedly sold the baby to one Nkechi through her friend, Ekezie, and Nkechi’s elder sister, Chukwunonye, for N250,000. James reportedly got N30,000 from the proceeds. Saturday PUNCH learnt that a neighbour of the midwife, who got wind of the criminal deal, tipped off the police and four of the suspects were arrested while others were at large. Ibeto said she sold the baby, who had been recovered, because Bukky told her she was impregnated by her father, and wanted to do away with the baby. She said, “I was at home when a friend brought Bukky who was due for labour. Bukky told me how his father impregnated her and said she wanted to abort the pregnancy because it was a product of abomination. “I asked her if she really meant what she said and she answered in the affirmative. I felt it would be an abomination if people got to know about the issue. I also felt she was too young for the stigma. “Luckily, Bukky was delivered of a boy and we sold him to Chukwunonye. I gave Bukky part of the money to start a new life and advised her to stay away from her father. She left and Chukwunonye took the baby boy. Ekezie, a mother of six, who hails from the Ekwusigo Local Government Area of Anambra State, told the police that although the money for the baby was paid into her account by Nkechi, she did not get any share. The 38-year-old said Nkechi had been barren for 18 years and had wanted to adopt the baby, adding that she was only trying to help her. She said, “Mrs. Ibeto is my friend. She called me on the telephone that a woman gave birth at her centre and that I should find a buyer for the baby. I called my friend, Nkechi, who lives in Imo State if she was interested in the baby. She agreed to buy the baby. Chukwunonye, 45, explained that she agreed to buy the baby on behalf of her sister after Ibeto assured her that it would not backfire. She said the nurse had told her that the father of the baby was blind and was in dire need of money for treatment. A police prosecutor, Inspector Ben Emuerhi, on Tuesday, brought the four arrested suspects before an Ikeja Magistrate’s Court on two counts of stealing. The charges read, “That you Joy James, Regina Ibeto, Gold Chukwunonye and Nkiru Ekezie, on May 17, 2018 at 96, Bunmi Ajakaiye Street, Shibiri, Lagos, in the Lagos Magisterial District, did conspire among yourselves to commit felony to wit; child stealing, thereby committing an offence punishable under Section 411 of the Criminal Law of Lagos State, 2015. The defendants, however, pleaded not guilty to the charges and elected summary trial. The presiding magistrate, Mrs. O. Sule-Amuzat, granted them bail in the sum of N50,000 with one surety in like sum and adjourned the case till July 11, 2018 for mention.